It’s funny how when you visit a new city, country or area you make plans to explore the local areas, whether that be by tour bus trips, walking tours or just wandering around, but quite often you miss all the amazing things out there right on your doorstep! I’d never thought to go on a London walking tour, but after going on the amazing 2 hour Art Deco walking tour around Mayfair with Yannick, it has made me reassess that! We started the tour off by meeting at the Park Lane Hotel and the Art Deco inspired Ballroom before heading to our first stop, the old tube station of Down Street Mews which became a world war bunker. It was a fascinating stop and whilst we were at the stop, a TFL Underground tour even went inside which is something I definitely need to look into as that tour sounds really cool. We also visited Carrington House before visiting Landsdowne House in Berkeley Square which I found really fascinating was it used to be home to Mr Selfridge and after my obsession with the ITV drama Mr Selfridge I was very intrigued by this stop. As you can imagine Mr Selfridge used the house to throw lavish parties and would rent out the property for £5,000 a day before it became the private members club that it is now. It’s definitely a building i’d like to take a peek into! 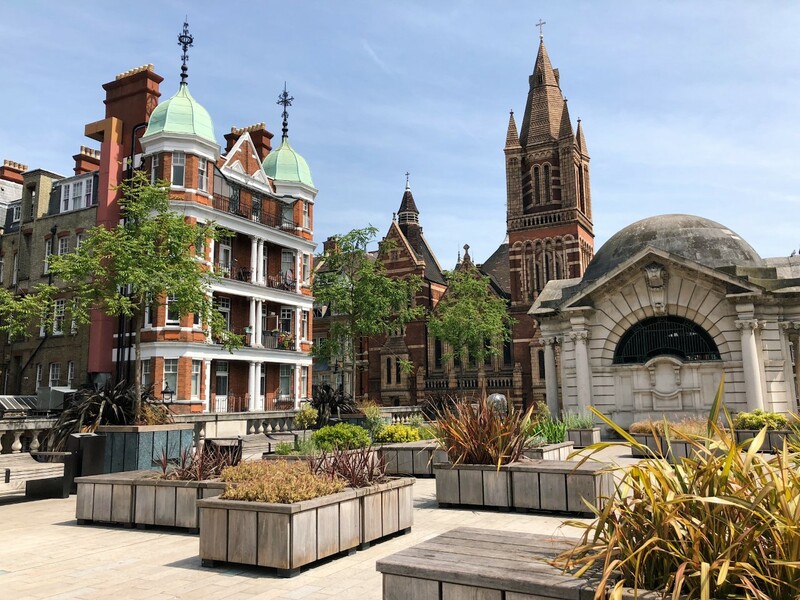 The last stop of the walking tour found us in Brown Hart Gardens, just a stones throw from the busy Oxford Street – but you would have absolutely no idea! It was lovely as the sun was shining, people were relaxing reading books and chatting and for London it seemed so laidback and European, but has also inspired me to search for similar hidden London gems like this too. After we had soaked up some sunshine and had a little chat we headed over to The Dorchester for Afternoon tea! 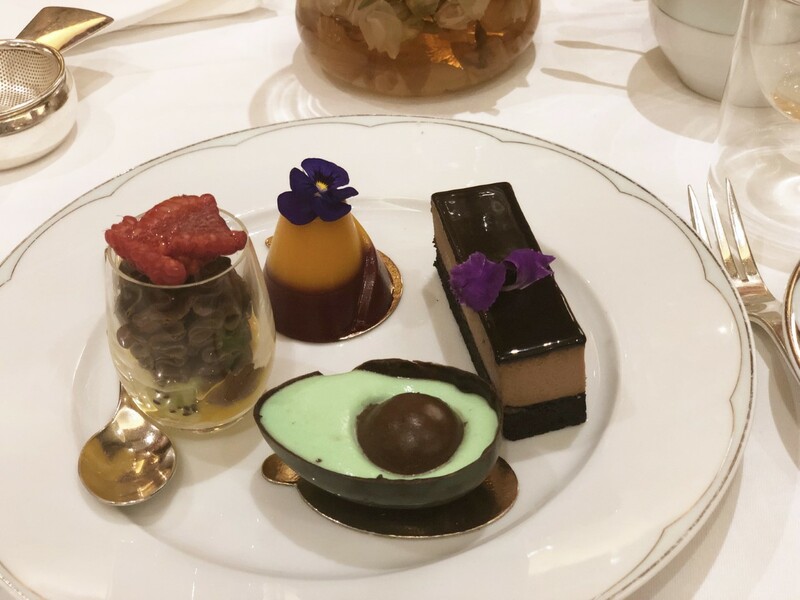 I’ve never visited The Dorchester but have always wanted to, and I wasn’t dissapointed! 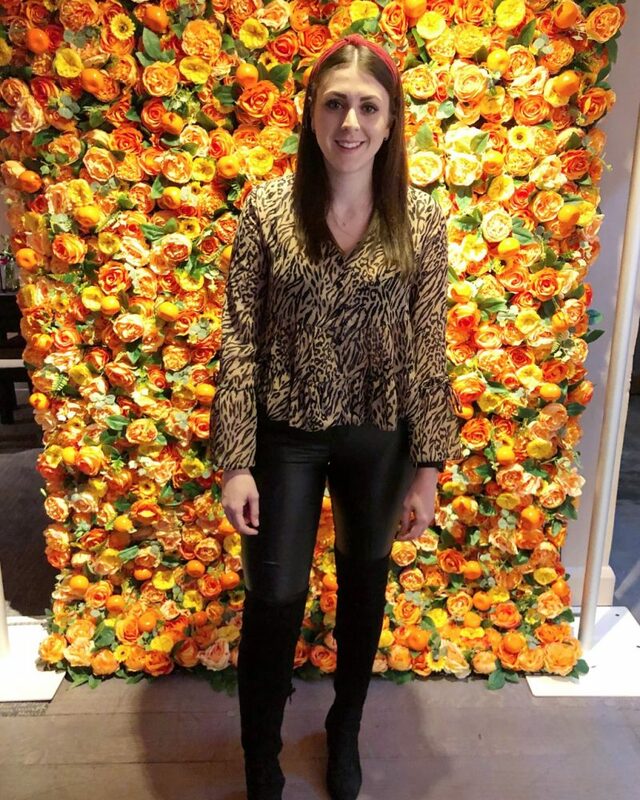 The service was exceptional, the waiter looking after us was super attentive and made sure he was aware of who we all were and our varying dietary requirements. We had a delicious magnum of Laurent Perrier Brut to start, which was such a treat, before getting started on the first course – a selection of classic finger sandwiches. I loved that the afternoon tea was basically unlimited, we had sandwich upon sandwich and tea after tea. I could easily have been rolled home I ate that many cucumber sandwiches – my favourite! After we had over indulged in sandwiches, it was time for scones. A selection of raisin and plain with clotted cream, jam and an unusual but delicious rhubarb and basil preserve. And if that wasn’t enough we were then all presented with a sweet treat plate and oh my. It was heavenly, and the millennial choco-avo dessert went down a treat with the table! I should probably actually mention the tea in an afternoon tea too right? I opted for a pot of the First Romance flavoured black tea; A colourful selection of delicious fruits and flower petals, brought together to create a very special fruit tea. The combination of the sweet exotic flavours of strawberry, mango and orange were really refreshing and not overly sweet. I’m not a classic tea drinker, but I love a fruit tea and this one was delightful. I managed 2 whole pots to myself so that is definitely saying something. I would definitely love to head back to The Dorchester again, the atmosphere was lovely. There were a few occasions at various tables around us and we were seated next to the pianist who played a lovely selection of modern (and Disney) tunes which was really atmospheric. 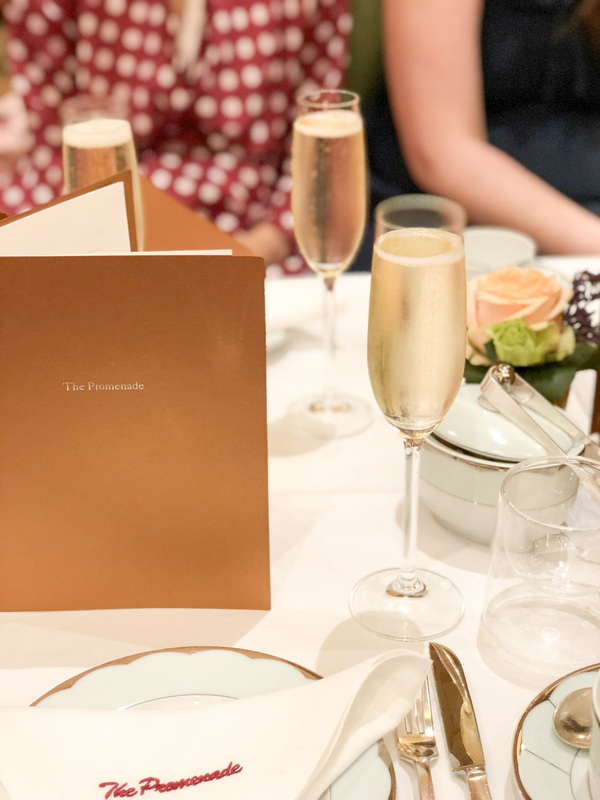 I had such a lovely day; from the walking art deco tour nosing at hotels around Mayfair with Yannick to our lavish champagne afternoon tea at The Dorchester. I certainly wish I could spend every Sunday afternoon strolling around Mayfair and eating! 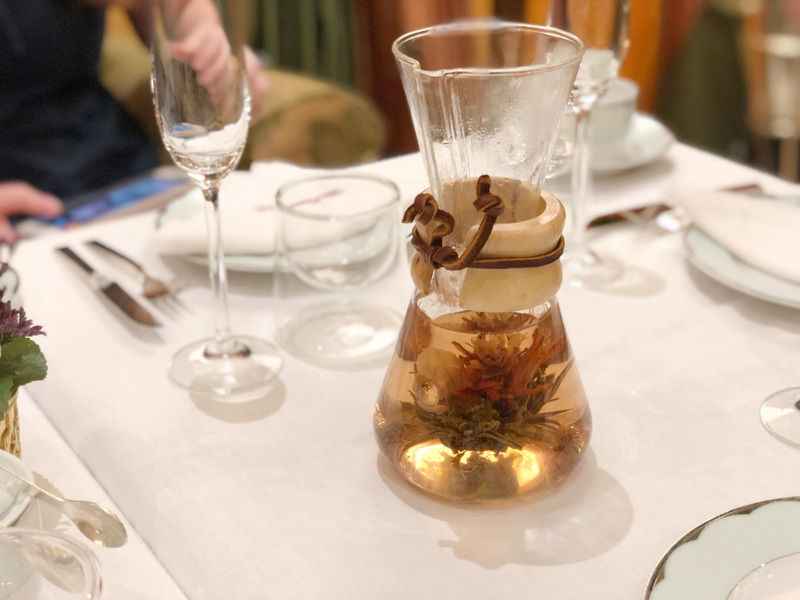 Have you had tea at The Dorchester? What are your favourite London hidden gems? I was invited along to this event, but all opinions are my own.